This is a tip that I got recently from a Tap Manufacturer where a customer was trying to replace his Valve. He had gotten his handle off but couldn’t remove the shroud (also known as locking nut / fixing nut / hood that covered the valve due to the buildup of limescale. Soak problem area in a solution of lemon and water (equal proportions) for maximum of 30 minutes. Rinse off solution completely then. If in doubt as to the finish of your tap, you should test on a tiny bit first where it won’t be seen. 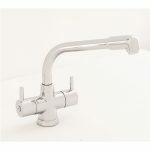 “I unscrewed the cap off of the end of the mixer tap to clear any debris which may have accumulated however when some black particles were removed I tried to refit the metal cap with the plastic flow restrictor and rubber washer but they will not fit ” and the pictures were useful as it has hopefully helped me assist you. 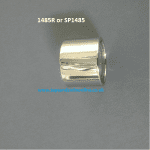 Hence why we conduct spare parts enquiries via email rather than by telephone. 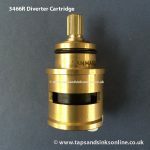 We cannot possibly answer questions over the phone as we invariably need pictures of the spare part (if possible) and the actual Tap itself, as most customers, like yourself, do not know the Brand name of the Tap that they have. As they say… a picture is worth a thousand words… I have sent you a link to a Perlator that might fit your Spout. Also the tip that i provided related to removing limescale around a handle. Judging by your email, your aerator disintegrated upon removal i would think, hence why it didnt fit back after (that is if your Aerator was a screw in one to begin with, which is usually the case). 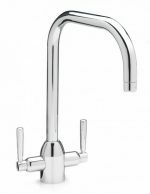 Perlata is not the name of your Tap by the way, rather it is the name of the Aerator Brand that is fixed to your Spout. I have also sent you a link of the other Aerators we stock as well so that you can check the end of your own spout for M or F Thread etc. 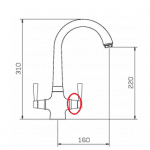 If your Spout does not have a thread at the tip to accomodate the Aerator, then I don’t think that we can help you unfortunately but I am hoping that i have identified the correct one for you. Regards, Alice.